As the estimated 14,000 immigrants from Central America make their way through Mexico to the U.S. border, the Department of Homeland Security, especially the U.S. Border Patrol, is being requested to provide lawmakers from both sides of the aisle in the U.S. House of Representatives and the U.S. Senate updates on the Trump administration’s corrective actions. 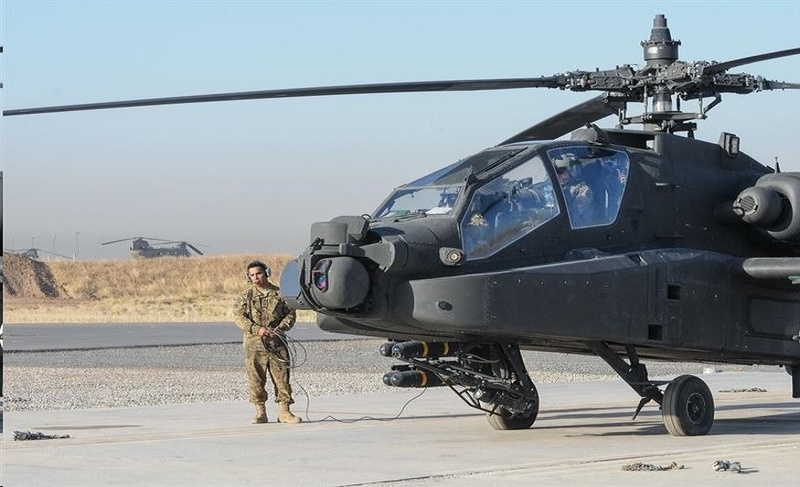 These corrective actions include upgraded air support provided by the Border Patrol and the Coast Guard. 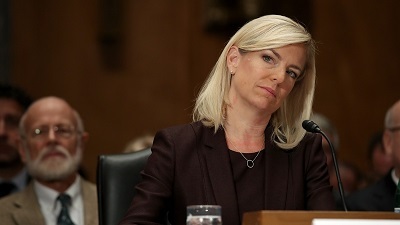 The new Secretary of Homeland Security Kristjen Nielsen is a key part of Trumps quest to control U.S. borders and screen out illegal aliens who are criminals and gang-members. 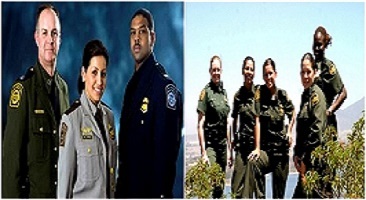 A U.S. Border Patrol union official appearing Thursday on “Fox & Friends” claimed that he believes the “Deep State” still exists within the USBP, internally frustrating President Trump’s border enforcement policies. 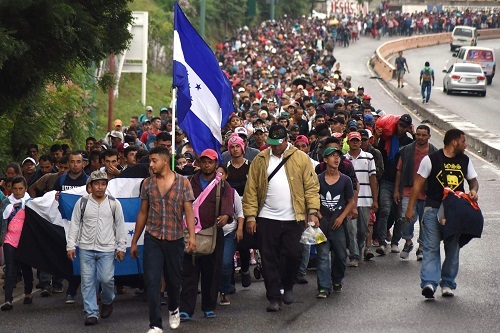 At the same time the Democratic Party and its news media cohorts use any means necessary to open U.S. borders and block enforcement efforts. .
Honduran invaders approaching the U.S. border is possibly the so-called “October Surprise” before Election Day. AMO hours for USBP decreased 22 percent from FY 2015 to FY 2017 at which time President Donald Trump began to increase border security resources..
President Trump MUST stop the Mobile Mob while they are still deep into Mexico. Allowing them to get anywhere near the US border would be a huge mistake as they may well make a run for it. Once in the US and applying for amnesty they have a 96% change of being accepted. It would be criminal to watch the invaders stampede over our unarmed troops with orders not to injure or “offend” anyone. Trump must force Mexico to use their army to stop the invaders, there are several ways to do this. Stop ALL foreign aid to Mexico for ten years if this or any groups attempt these group invasions again. Close the border and all ports of entry. Nothing gets through without a through search. Put a big tariff on money being sent to Mexico and Central America. Millions of US dollars go back to their home countries every week , sent by illegals living and working in the US.